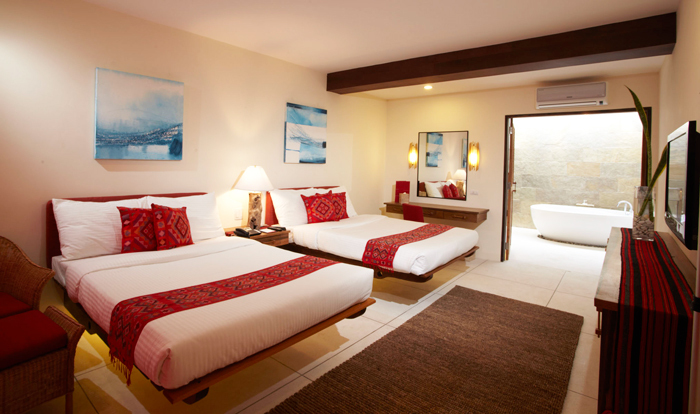 Bluewater Resort in Panglao, Bohol awaits you this summer! Hello beautiful people of Davao City! Have you made plans already where to spend your summer rest and relaxation this year? Well, don’t push it yet until you read this blogpost. Just recently, the sales executives of Bluewater Resorts were here in Davao to bring us awesome news. 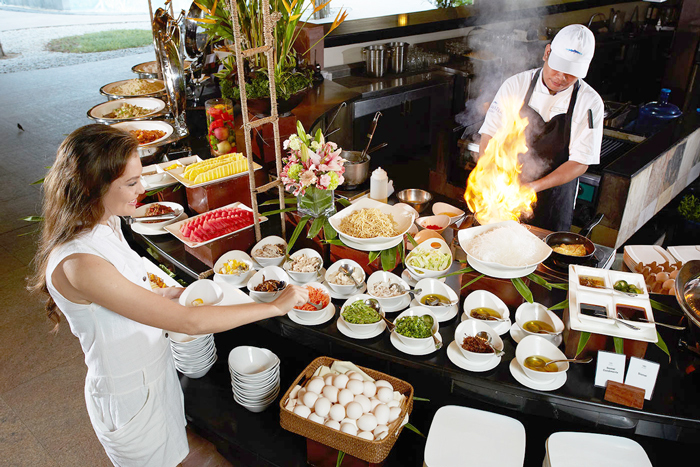 Bluewater Resorts is a chain of luxury getaway haven operating solely in Cebu and Bohol. It’s wholly owned by Filipino, therefore, we can be sure it showcased the best of Filipino, particularly Cebuano hospitality and culture. 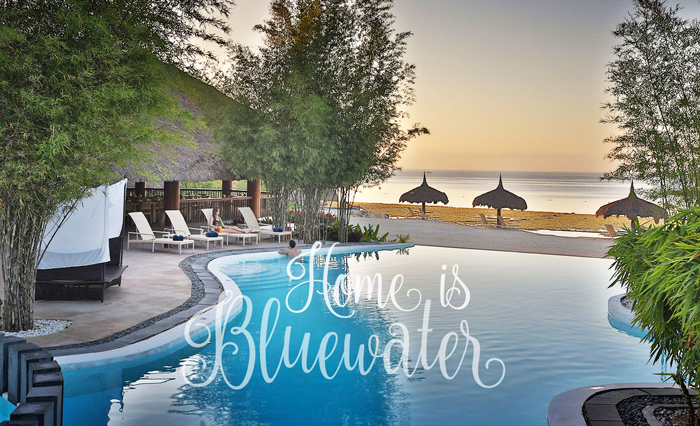 Bluewater Resorts operates in Sumilon and Maribago in Cebu and the recent addition to the group, the Bluewater Resort in Panglao, Bohol. Bohol is one of the culturally-rich and geographically-endowed provinces of the country. When coming from Davao, tourists need to pass by Cebu as a jump-off point to Tagbilaran, the major city of the province. Exactly what we did when we went to Tagbilaran in 2013. More often than not, the reason why we restrain from travelling is because of poor connectivity. But with the recent development with two of the big airline companies of the country - Cebu Pacific and Philippine Airlines, this inconvenience will already be a thing of the past. Come October and November 2017, Cebu Pacific and Philippine Airlines will launch a direct flight from Davao to Tagbilaran City and vice versa. Isn't this an awesome news for all of us Davaoenos? “With this domestic flight connectivity we can now promote Tagbilaran not just an offshoot of Cebu tourists having day and night tour, but as an exquisite destination just like Davao, Boracay or Palawan. Bohol has so much to offer – culture, pristine beaches, history, nature and so many other sights to see, it’s all there.” Said Mr. Manuel Sandagon, Bluewater Resorts Asst. Director of Sales. “We are targeting the domestic market with this Davao-Tagbilaran flights. If you want a less expensive destination, we encourage you to come and visit Bohol.” Sandagon further added. Bluewater Resort in Panglao Island is one of the beach havens you need to consider staying in your next trip to Bohol. I can’t wait to see them in summer ... I’ll have tons of travelogue to share to you by then. With this Davao-Tagbilaran direct flights, seeing the best of Bohol is just within reach. Can't wait for summer. Until then, see this video and know more what awaits you in this lovely getaway haven in Panglao! 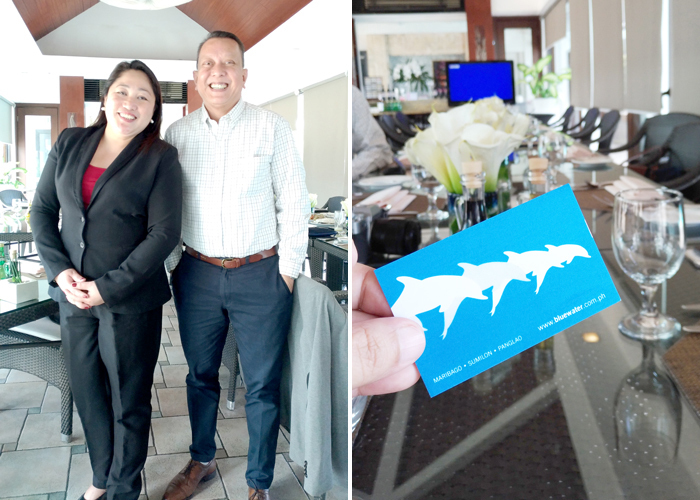 Ms. Louee R. Garcia Sales Manager and Mr. Manuel G. Sandagon Asst. Director of Sales, Bluewater Resorts during the media briefing at Marco Polo Davao here in Davao. Photo opportunity Davao Digital Influencers and Media Friends during the media brief at Marco Polo Davao on Oct. 11, 2017. For now, watch out for the launching of Cebu Pacific and Philippine Airlines Davao-Tagbilaran flights. Just wishing they'll offer seat sale for the opening.